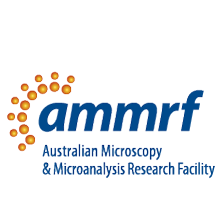 ARC allocates funding to the Linkage Projects on a competitive basis; funding levels range from AUD$30,000 up to AUD$500,000 per annum (p.a.) for up to 5 years. In exceptional circumstances, where an extremely high level of commitment is made by the industry partner, the ARC will consider funding levels of up to AUD$2,000,000 p.a. If you wish to find a researcher to work with please contact Dr Jenny Whiting, Marketing & Business Development Manager. For more information download the ARC Linkage Projects PDF.